As part of its mission to serve the youth, YES-J provides opportunities to individuals (18 years or older), from local cities and overseas, to volunteer in its mission work. The Voluntary Immersion Programme provides placements to the volunteers in communities of all sizes, from rural villages to big cities. 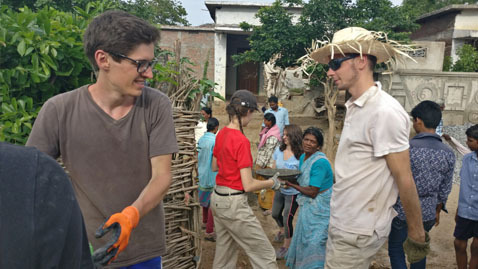 The volunteers usually stay with the local religious community and share their tasks. The accommodation facilities vary depending on location, but YES-J ensures that volunteers are safe wherever they stay and have access to basic amenities. However, it is important for volunteers to be prepared to adapt to basic living conditions. 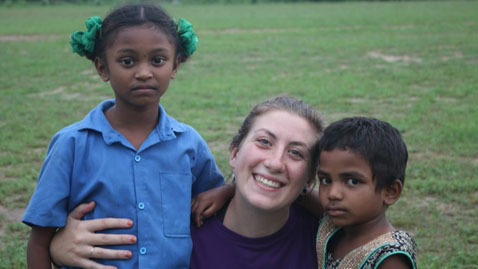 The immersion experiences are aimed towards a lasting impact, both on local communities and on individual volunteers. 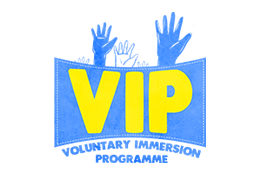 VIP enables volunteers to challenge themselves, experience another culture and develop an attitude of being GRATEFUL. Take a look at the impact of VIP till 2018. University Students from Austria, UK, Italy, France, Germany have immersed themselves in the life of 4 villages. "VIP enabled me to learn more of myself and appreciate the life and its gifts. It also helped me to establish strong relationships with Indian culture and its people. I just loved the hospitality." "Born of Portuguese parents in London, this exposure to Indian culture, particularly to the rural background of Andhra Pradesh with all its complexities has certainly brought me home enriched and plenty to reflect upon. This is my first visit to India; I truly fell in love with it and hope to come back one day."